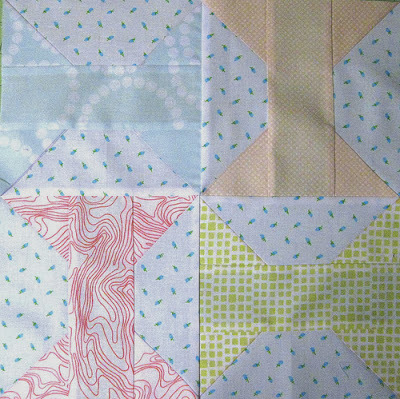 This year I'm participating in the 2014 Aurifil Block of the Month. Each month a new block pattern is posted to the Auriful Blog, AURIBuzz. Each block for the 2014 rendition is inspired by a woman who has inspired that designer. January's designer is Bridgitte Heitland of Zen Chic. You can find her story and pattern here. Enough about them. Here's my block. Sorry for the poor image quality. We just got a new computer and I'm still working on getting some photo editing software. I chose a low volume palette working purely from my stash for the moment (I participated in several low volume swaps last year and have a significant stash of the stuff at the moment). Though I do have a really nice bundle of peaches, corals and oranges that I might dig into for a second version of this quilt along. Or I might not.